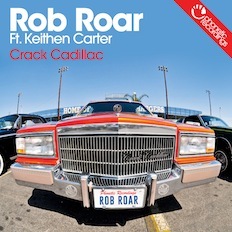 Phonetic are proud to present the Crack Cadillac EP from Phonetic head honcho Rob Roar. Kicking off with Crack Cadillac, a quality funked out groove featuring the grammy award winning Keithen Carter (Max Linen/Madonna) who delivers a sultry tripped out vocal. Keithen is currently co-writing with Full Intention, Sonny Fodera & Doorly. Next up is Altered State, setting this EP up nicely for Miami & Ibiza this year.